18 Gmail Settings That Will Improve Your Email Experience - Something New Everyday! When it comes to managing email, you need every advantage you can get. Google recognizes this. 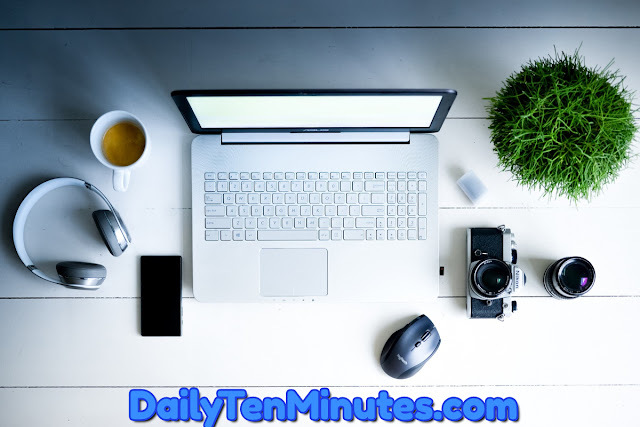 The company has packed Gmail with dozens of advanced options that can save you time and add powerful possibilities into your inbox. The only problem is that there are so many of them—scattered across so many places—that it’s all too easy to overlook something useful. So fire up your brain’s memory banks: It’s time to crank up your inbox IQ. 1. Gmail’s new Smart Compose feature can save you precious time by predicting what you’re going to write before you write it—kind of like autocomplete for your inbox. It works surprisingly well, too, and it’s easy to ignore when its suggestions aren’t spot-on. Smart Compose is like autocomplete for your inbox. To try it out, you’ll first need to turn on the “Enable experimental access” option within the General tab of the new Gmail’s settings. After you click the “Save Changes” button at the bottom of the screen, Gmail will refresh itself—and Smart Compose should then automatically be activated. You can confirm by going back into the General tab of the settings and looking for the newly added Smart Compose option. As long as “Writing suggestions on” is checked, you’re all set—and you should see Google’s predictive text show up periodically as you write new emails. 2. 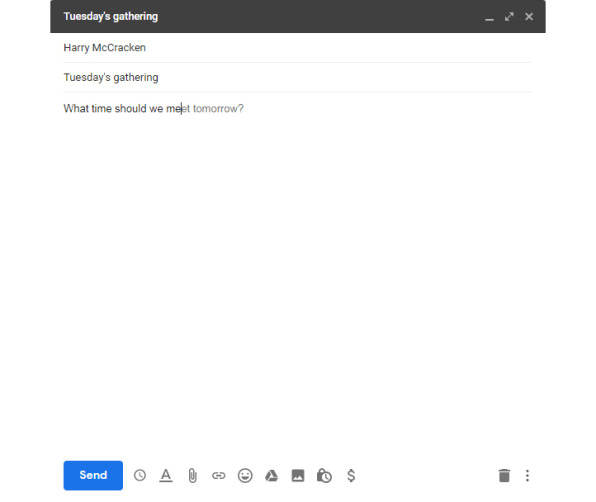 Speaking of saving time, do yourself a favor and head into the Advanced section of the new Gmail settings (or the Labs section in classic Gmail) and enable “Canned Responses.” Once you do, you’ll be able to create simple templates that can then be inserted into messages with a couple of clicks. 3. The new Gmail’s snooze option is spectacular—but its default snooze times may or may not be ideal for your own personal schedule. Here’s a little secret, though: You can customize exactly what time Gmail considers to be “morning,” “afternoon,” and “evening” by looking in the settings of Google Keep (obviously, right?). Just change the default times for each day-part within Keep’s settings, and the same times will then carry over to Gmail—both on the website and within the mobile app. 4. By default, Gmail gives you a small window in the corner of the screen for composing new messages. If you’d rather write in a centered and more full-screen field, you can click the small diagonal arrow in the window’s upper-right corner to change its size and placement. And if you always want to write in a full-screen window, there’s a setting to adjust Gmail’s default behavior: Click the three-dot menu icon in the compose window, then select “Default to full-screen.” That’ll make all your future emails start in that large, centered view. You can activate it by looking for the “Send and Archive” option in the General section of Gmail’s settings. Select “Show ‘Send & Archive’ button in reply” and then hit the “Save Changes” button at the bottom of the page. 6. Gmail’s “Undo Send” feature can be a real lifesaver, but its default cancellation window of five measly seconds doesn’t give you much time to change your mind. Head into the General section of Gmail’s settings and click the dropdown box next to the “Undo Send” option. You can bump the value up to 10, 20, or even 30 seconds—which means that you can give yourself up to half a minute to have second thoughts about any message you send. 7. Not a fan of Gmail’s tabbed inbox? Hover your mouse over “Inbox” in the left sidebar and click the downward-facing arrow that appears alongside it. That’ll let you choose from five different inbox configurations: “Default,” which is the standard tabbed setup; “Important first,” which splits your inbox in half, with messages Google deems to be important on top; “Unread first,” which does the same thing but with unread messages taking up the upper portion of the screen; “Starred first,” which does exactly what you’d think; and “Priority Inbox,” which lets you create up to four customizable sections to break apart different types of messages. 8. If you’re using the default tabbed inbox configuration, take control of how it works by looking in the Inbox section of Gmail’s settings. There, you can simplify things a bit by deactivating tabs you don’t want displayed (which causes messages that would have been categorized within them to go into the next most appropriate tab). You can also activate a handy option to have any messages you star always show up in your “Primary” tab, regardless of where they were initially sorted. 9. If “Priority Inbox” is your cup of tea, head into that same Inbox section of Gmail’s settings to configure your inbox sections in any way your heart desires. The possibilities there are practically endless. 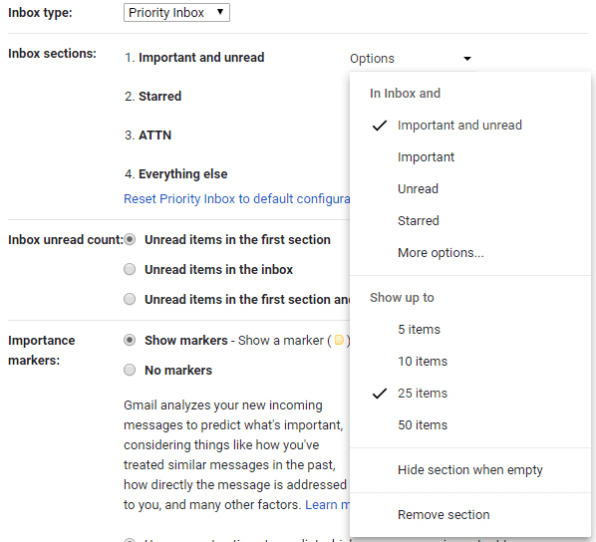 Gmail’s “Priority Inbox” setting provides the greatest opportunity for customizing and controlling exactly how your inbox is organized. 10. Regardless of which inbox setup you choose, be sure to experiment with Gmail’s density modes to find the inbox display style that works best for you. Click the gear icon in the site’s upper-right corner. In classic Gmail, you’ll see options for “Comfortable,” “Cozy,” or “Compact” density right in that main menu; in the new Gmail, you’ll first need to select “Display density” and will then see options for “Default,” “Comfortable,” and “Compact.” Note that “Default” puts the newly added attachment previews into your inbox view, while “Comfortable” and “Compact” hide that information. 11. Miss Outlook’s preview pane, where you can read a message while still keeping your inbox in view? Gmail actually offers a similar view that shows everything at once. Look in the Labs section of classic Gmail’s settings or the Advanced section of the new Gmail’s settings and enable the option labeled “Preview Pane.” That’ll put a new four-line icon next to the settings button in the top-right area of your inbox. 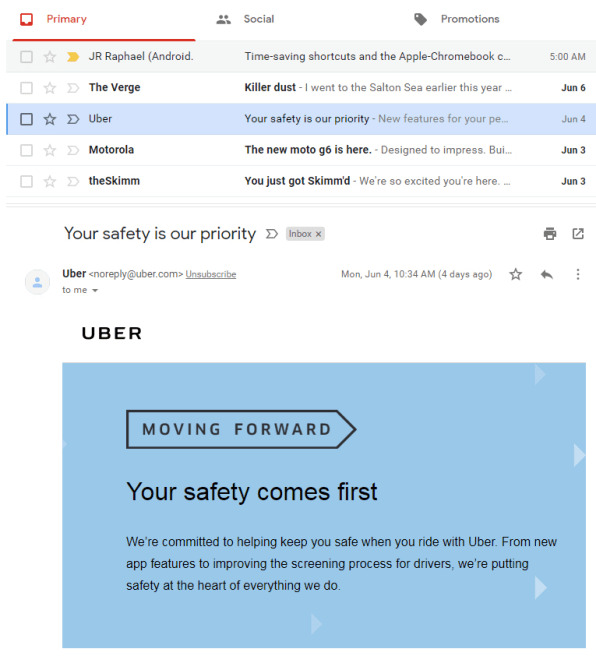 Click the downward-facing arrow next to it, and you can opt to have either a vertical split—in which any message you select appears to the right of your inbox—or a horizontal split, in which message previews appear beneath your inbox. The “Preview Pane” setting lets you view the contents of emails without ever leaving your inbox. Be sure to look in the General section of Gmail’s settings, too, as an option there labeled “Preview Pane” will let you control how long you can keep a message open in the pane before it gets marked as read. 12. Let’s not kid ourselves: No one likes pagination. Meander back into the General section of Gmail’s settings and look for the “Maximum page size option.” You can’t turn off pagination completely, but you can show up to 100 conversations at a time—and if you have more than that many items still in your inbox, pal, you’ve got bigger problems. 13. 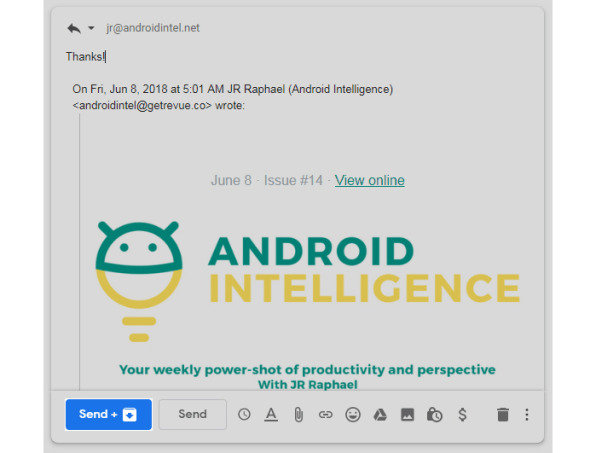 Gmail’s stars provide a great system for marking important messages—so why not take things up a notch and give yourself even more ways to designate attention-demanding threads? The “Stars” line the General section of Gmail’s settings lets you add up to 11 additional icons into your list of message-starring possibilities, with options ranging from differently colored stars to exclamation point, question mark, and check mark symbols. Just drag and drop whatever icons you want into the “In use” list, and pay careful attention to the order: It’s the same order in which the icons will be applied—so if you put a purple star in the second position and an exclamation point in the third, clicking a message’s star field twice would assign the purple star to it, while clicking it three times would give it the exclamation point. 14. Make your inbox more effective by clearing out clutter and leaving only the labels you need. In the “Labels” section of Gmail’s settings, you’ll find commands to hide any label or category you don’t regularly access from the label list—that long and often sprawling list in your inbox’s left sidebar. You’ll still be able to get to those hidden labels; they’ll just be tucked away beneath the “More” option and thus out of your way most of the time, so you can more easily focus and find the ones you use the most. Tap the three-dot menu icon alongside that line and select “Switch to Tasks.” Any tasks to which you assign a date within the Gmail Tasks sidebar or the standalone Tasks mobile app will now automatically appear in your calendar. Just note that this feature replaces the integration of regular Google reminders created via Assistant, Keep, or the Google search box. 16. You probably know about Gmail’s keyboard shortcuts, right? (If you don’t, go activate them—right now—in the General section of Gmail’s settings.) You might not know, however, that you can create your own custom keyboard shortcuts, too: Look in the Labs section of classic Gmail or the Advanced section of the new Gmail to fire up the option, then look for a new Keyboard Shortcuts section in your settings. 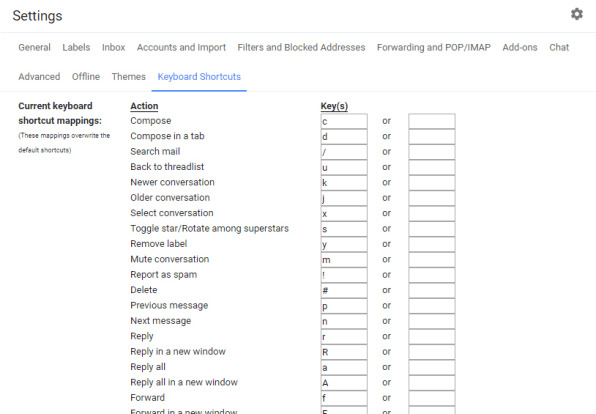 Create custom shortcuts that work for you via Gmail’s “Custom keyboard shortcuts” setting. There, you can change any of the default keyboard shortcuts or supplement them with secondary options. One super-useful adjustment I enjoy—inspired by Google Inbox—is adding the simple shortcut “i” as a faster way to jump directly from anywhere to my inbox. 17. Whether it’s Uncle Geoffrey or the mailing list that just won’t quit, there’s always some irritating force that consistently fills your inbox with irrelevant garbage. Gmail has a buried setting to get annoying missives permanently out of your hair: While viewing a message, click the three-dot menu icon in its upper-right corner (directly to the right of the reply icon), then select the “Block” option. Any emails from that address will automatically go right into your spam folder from then on—and if you ever have second thoughts, you can manage your list of blocked addresses in the Filters and Blocked Addresses section of Gmail’s settings. The option resides in the aptly named Offline section of the new Gmail’s settings. Set it up the way that makes sense for you, be sure to hit “Save”—and then rest easy knowing that the next time your internet connection wavers, all your email will still be right there and waiting.